The Aquatic Centre includes a 10 lane, 50m Olympic standard pool with a dividing boom and part-floating floor. 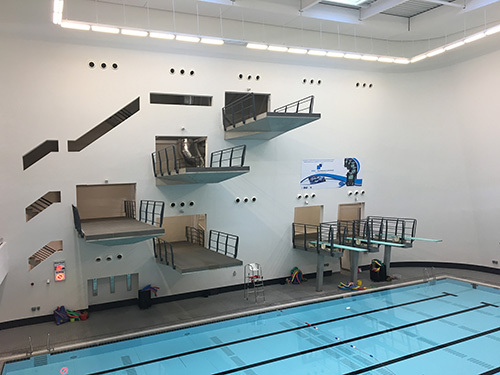 The 25m x 16.5m diving pool has the latest technology in water cushioning systems and an adjustable floor to enable a range of uses from competition to swimming lessons, there is spectator seating for 600, health suite and a bridge connection to Aberdeen Sports Village. The centre also features fitness suite, dance studio and public space. RMP provided full acoustic assessment covering the issues of existing environmental noise affecting the proposed development, noise breakout to existing receivers, recommended internal surface finishes as well as ensuring appropriate sound insulation between adjacent spaces.